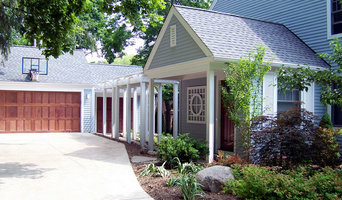 Budman Denton, LLC, located in Oakland County, is a truly unique and superior Master Remodeling Firm. This solid business foundation is due to what the partners “bring” to their business. Robert L. Denton is a 3rd generation Master Carpenter, with over 27 years of hands on experience. He has been privileged to work along with some of the best craftsman in the country. Robert’s expertise is in managing projects through clear, open and direct communication with the clients and the skilled craftsman. Robert is personally on every project site to ensure that harmony is created and that the client’s confidence and trust is constantly maintained. Robert’s laser focus ensures that the workmanship is flawless and projects are on schedule until completion. Robert has a favorite saying that is extremely applicable: “You can have the best orchestra in the world, but without the right conductor, you can’t make harmony”. Robert is the conductor. Neal D. Budman is a 4th generation remodeler who has over 31 years of on the job experience. Neal previously held the position as CEO of Budman’s Remodeling, one of the oldest renovation firms in the country which was established in 1907. In addition to Neal’s extensive renovation knowledge and experience, his expertise in business management allows Budman Denton, LLC to provide some of the most comprehensive, thorough and easy to follow proposals, contracts, statements, and other business documents, which helps ensure crystal clear communication and transparency throughout the renovation process. These critical items greatly assist in a successful renovation relationship. Together, Robert and Neal have renovated well over 1000 projects. Through their unique business styles, incredible working relationship and dedication, they have developed a renovation firm that includes the necessary formula to provide a service to their valued clients that is unsurpassed; all while maintaining a personal approach. Wright Street Design Group Inc.
Wright Street Design Group is an award winning, design oriented, architecture firm primarily focusing on residential design. Our work has been featured in Better Homes and Gardens, Detroit Home, Professional Remodeler, Custom Home, Fine Home Building, and Professional Builder magazines. Our projects range in size and variety - from a single coffee table - to a kitchen or bath - to an addition, remodeling or renovation - to a new home and more. Stanley Monroe, founder, owner and principal designer of Wright Street Design Group is a graduate of the Master of Architecture program at the University of Michigan. He worked for a variety of area firms before founding Wright Street Design Group Inc. in 1986. When working with a client the most important step for us is to listen carefully. It’s our role, we believe, to act as our client’s instrument; the translator of their goals. We do not prescribe or impose, rather we solve each client’s particular design program while closely involving them in the process. Close collaboration with our clients allows us to better understand their desires, tastes, and priorities. By better knowing our clients, we’re able to produce better design solutions. Every project we undertake is a unique and enduring response to a specific place and a specific set of needs of our client. GOOD RELATIONSHIPS BUILD GREAT HOMES! A third generation builder, Patrick has sawdust in his blood. He started out as a rough carpenter, learning vital construction skills and now has been a licensed builder for over two decades. Patrick Widing is committed to using absolutely the best concrete contractors, carpenters, roofers, electricians, plumbers, drywallers and painters, coupled with the very best suppliers and materials. Details make the difference and no one puts the finishing touches on a home like Patrick Widing. Patrick knows every aspect of the job and his construction techniques are state-of-the-art. One of Southeastern Michigan’s most creative boutique firms, our multi-disciplinary practice offers extensive expertise in custom residential, historic preservation, renovation, restaurant, office and commercial projects with an emphasis on sustainable, environmentally-responsible design. With a reputation for thoughtful, inspiring ideas and attentive client service, MWA is committed to superior design quality that consistently reflects an inherent individuality and uniqueness that result from the client/architect partnership. LIVING IS IN THE DETAILS! Rick Morris is a Licensed Building Professional with over 30 years experience. Having home building in his blood, Rick started out as a rough carpenter where he learned hands-on what it takes to build a quality home from the ground up. He has built over 100 custom homes in the Detroit area, and has also developed and built complete projects including Jayne Hill in Fenton, Crystal Cove and Hidden Ridge Condominiums in Fenton Township. Rick only uses dedicated craftsman that he has lasting relationships with. Share your vision for a truly custom home building experience! Specializing in Craftsman and Farmhouse style homes with detail-oriented planning. Plans available to suit your needs as well as lot selection consulting. Matthew G. Strickfaden and Associates, Inc.
Matthew G. Strickfaden and Associates, Inc., builds and renovates "award winning" custom homes to the absolute highest standard. Matthew G. Strickfaden, the owner and chief executive officer, has been a licensed builder for more than 25 years with extensive experience in fine home building and custom remodeling. Founded in 1954, Mutschler Kitchens is the oldest continually operating kitchen business in Southeastern Michigan. Proudly serving the community of Grosse Pointe and beyond, we are family-owned and have built a reputation on creating timeless designs that are high quality and expertly constructed. There’s a reason why real estate agents tout “a Mutschler Kitchen” in their listings. We believe that quality is something that should never be compromised. A Mutschler design is never an isolated room: it’s an environment that flows into the rest of your home, pairing a receptive atmosphere with unmatched functionality. Residential remodeling and design build specialists, Kitchen and bathroom remodeling, and indoor/outdoor living space experts! Working with Metro Detroit’s most imaginative homeowners. 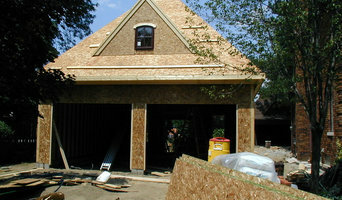 Whole Home Renovations $175,000 to $750,000. Historical Renovations $25,000 to $900,000. Kitchens; $10,000 to $75,000. Bathrooms $15,000 to $75,000. Finished Basements; $25,000 to $250,000. Room Additions $15,000 to $275,000. These are estimates only based on experience and your actual costs may vary depending on the scope of your project. Contact us for a consultation about your project. The Remodeling Star Advantage! “We Manage Everything So You Don’t Have To” We believe that most anything that can be done to a home, Remodeling Star will make it happen. Since 2003, KSF Architects has crafted client-focused architecture, designing additions and custom homes responsive to client tastes and individual goals. Keith Fineberg started the firm after years of experience working as a preservation architect, a lighting designer and serving as the program coordinator for the Interior Design program at Eastern Michigan University. Keith’s principal architectural interest has always been residential design. Keith’s father is a graduate of the Bauhaus school, and Keith grew up drawn to the contemporary, modern style. Years of Historic Preservation work have given Keith an expanded perspective of traditional and transitional styles. Keith is a strong advocate of sustainable design and encourages his clients to strive to use the earth’s resources thoughtfully and reasonably in making design decisions. Keith is a member of the Board of Directors of the Builders and Remodeler’s Association of Greater Ann Arbor and the Washtenaw Remodelers Council. Those organizations awarded him with the Pillar award in 2011 and the Keppler Award in 2007 in recognition of his leadership in the building community. He has also chaired the Green Committee of the Southeast Michigan chapter of the National Association of the Remodeling Industry as well as the Ann Arbor Remodeler's Home Tour Committee. Keith also served on the Planning Commission for York Township, Michigan. With over forty years of experience, true craftsmen began Sculpture Cabinetry & Renovations to create, design, and build the most elegant of spaces. 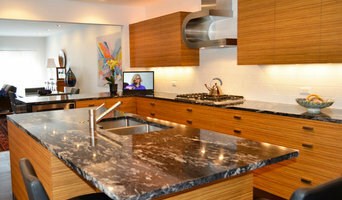 Using only the finest materials and superb craftsmanship, Sculpture Cabinetry & Renovations provides customized services of the utmost quality and artistry. Through inspired custom remodeling and renovations of kitchens, bathrooms and basements, we will fulfill your vision for the design and creation of your dream home or commercial workspace. We Promise: •To exceed your expectations •To be professional •Quality workmanship •Finest materials •Highly qualified and professional craftsmen – who take pride in their work •Daily cleanup of renovations so as not to interfere with our customer’s daily activities •Tailoring your design to meet your budget without compromising on quality Sculpture Cabinetry & Renovation’s creations have resulted in many happy customers. We would be proud to provide references. Choosing a contractor is one of the most important decisions you will make about your home- make sure you choose the one that will not only fit your needs but also fit your budget.